Maybe I shouldn't start writing this while I'm a bit cranky, but if I don't start it now, I'm never going to start it :). 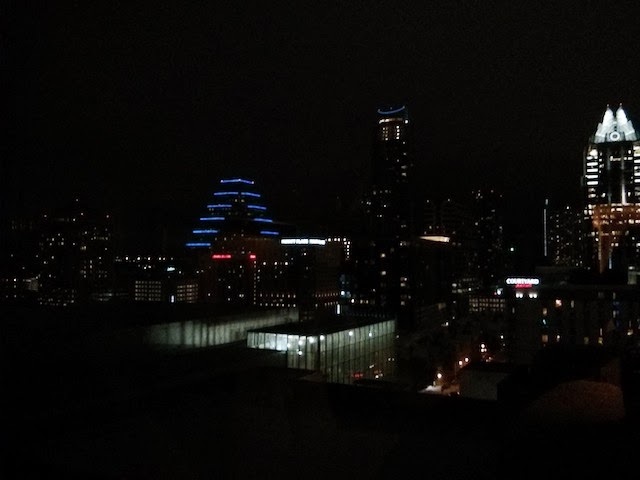 As of this writing I've been in Austin for eight days. I'm definitely ready to come home, but i have to say, I'm enjoying this trip much more than the previous one. Mostly because I'm sharing the experiences with people from work and we're all having fun together. Tuesday after a my preflight pancake breakfast and a long day of flying we arrived at the Hilton and immediately headed out for dinner. The original plan was to go to Lambert's which I nixed after recounting my previous experiences. 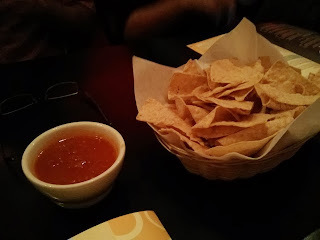 The “go-getter” of the group quickly picked another place, rounded up a taxi van, and got us on our way to a “fancier” Mexican restaurant called Manuels. 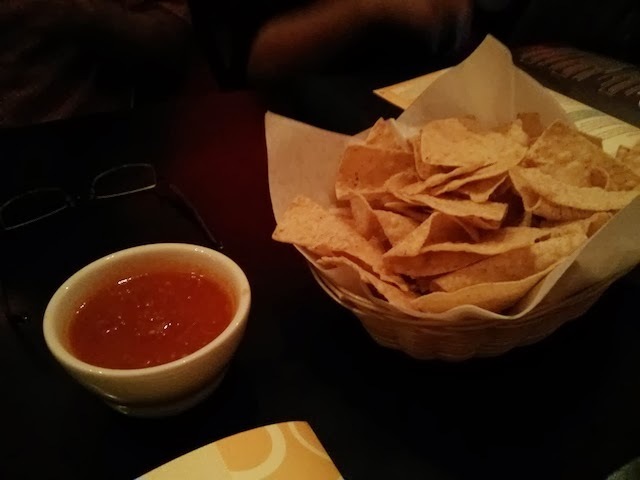 Apps were ordered for the entire table: tortilla chips and salsa, as well as a tortilla bowl with guacamole. They were good, nothing spectacular. His serious passion for the entree compelled me to try it. So I changed my order. There were actually four or five of us that ordered the same thing. He should have been selling cars. It was good. Not great. Essentially a pepper stuffed with seafood. It tasted as such. Again, nothing spectacular about it. 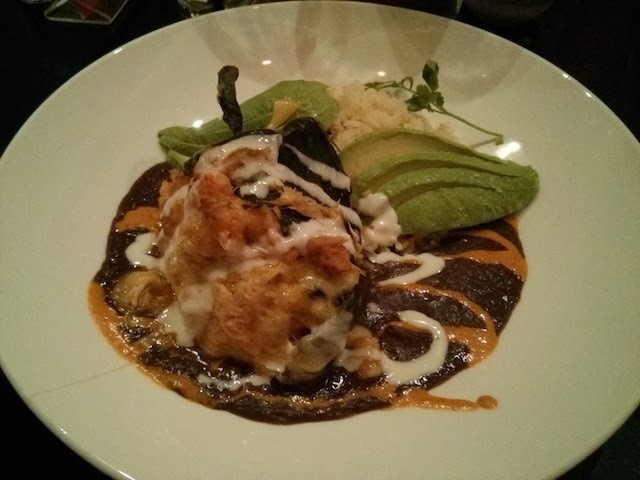 Amusingly, the best part of the entire dish was the little bit of rice underneath the pepper. Dunno exactly what it was, but it was fantastic. A few desserts were also ordered to share. A chocolate cake and a coconut caramel flan. The cake was alright, moist, but seemed to be missing that rich chocolate flavour one would expect from seeing it. Instead it was muted, though quite nice texture wise. 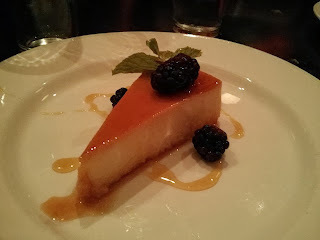 The flan was fantastic. It was light in texture but rich in flavour, and the caramel coconut combination worked really well. It was pretty much the best part of the meal. The conference in general left me pretty uhm... bored... I guess. There was some interesting stuff being talked about but for the most part the sessions weren't terrific. Dinner that night found us walking to one of the more famous barbecue places, Stubbs, but on arrival we discovered that they were closed for a private party. 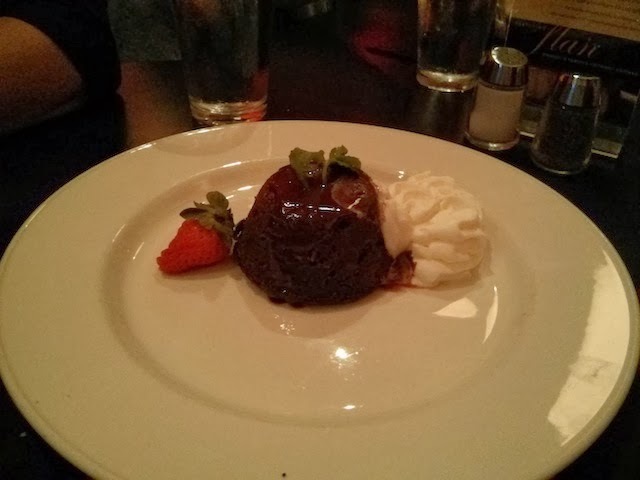 Originally, I had wanted to go to Moonshine, which is kind of a comfort food place, but a member of our party (who ended up not eating with us) had eaten there the night before, and said that she didn't like it. 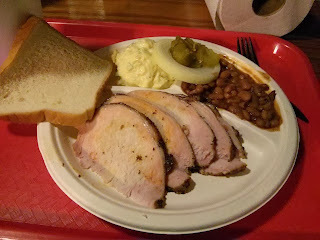 So instead of going there as the backup, we headed to another barbecue place, Ironworks, also well regarded. On our way we passed an empty Moonshine Restaurant. Ironworks was like most barbecue places; walk in, order at the counter, you're handed a tray of food, then you pay. There were a lot of us there and thankfully someone had the sense to call ahead. I have to be honest, there was nothing that I really wanted. I know brisket is the the big thing in Texas, but I don't really care for it. I'm a pulled pork person, which I guess isn't technically Texas barbecue. Everyone else was getting ribs and samplers. I decided on the pork loin. Big mistake. Pork is not something you see on a lot of menus in the GTA, though I do see it more in Texas. It's one of those things that's so easy to screw up that I think it a lot of restaurants are afraid to offer it. The pork loin at Ironworks was dry and tasteless, until I slathered it with barbecue sauce that is. I don't think a lot of people were happy with their food that night. However, the rest of the evening completely made up for the meal as we walked bar to bar, listening to live music, talking and having a lot of fun. We hit eight bars that night, and although I don't drink, had a lot of fun listening to the music and absorbing the atmosphere. I finally realized why people actually come to visit Austin. It really is incredible. The best music of the night was at Maggie Mae's where we listened to some terrific blues music, Birdlegg and the Tight Fit Blues Band. It was awe inspiring. Birdlegg is amazing, playing his harmonica, stopping to thank us for coming, and then singing in a powerful, raspy blues voice that blew me away. That night lead us to some street pizza, which to that point, was the best thing I had eaten. I got a slice called “Italian Mix” though i'm not what Italian puts jalapenos on their pizza, or on anything for that matter. I guess it's a Texas Italian or an Italian Texan. It was good though and hit that late night spot, kind of a floppy pizza, but good crust and flavour nonetheless. Thursday night was the conference party, 80s themed and everything. 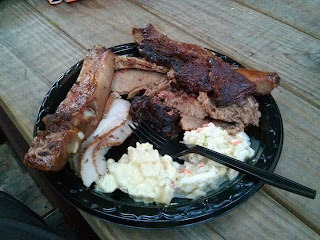 There was a terrific live band and fantastic barbecue supplied by Rudy's. The ribs, moist brisket and the turkey were stupid good. Like smack your mama good. Okay, maybe not that good, but you get the idea :). 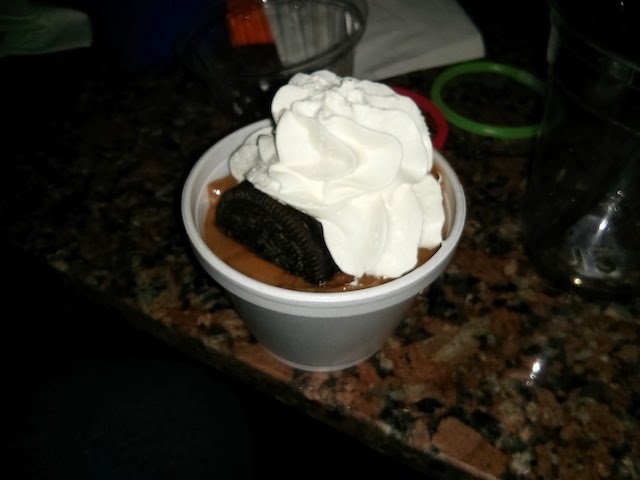 Dessert was a chocolate pudding with Oreos and a banana pudding. I once again sacrificed myself for science and ate both. They were both pretty standard, but the banana was definitely better. My cohorts felt the chocolate was a little too sweet/rich, but after the two and a half plates of barbecue I had eaten, a lot of sweet was good :). A little afterwards I got a bit too deep in my own thoughts and found myself sitting alone while everyone was jumping around and partying on the floor below, I was on the balcony playing Tetris. I don't know why exactly, I just found myself in a funk and after an hour of sitting by myself, I took off early and fell asleep almost as soon as I got back to the hotel. The next day, once the conference ended my boss and I took a walk down 6th street, and then to the capitol building where we took the tour. My boss told me some amazing stories about his past work. It was actually the first time we had ever chatted and if there was nothing else I got out of this trip other than that, it was worth it. He's probably one of the most fascinating people I've ever met. He has a story for everything. 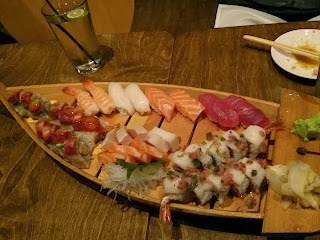 For whatever reason, dinner that night found us craving sushi. 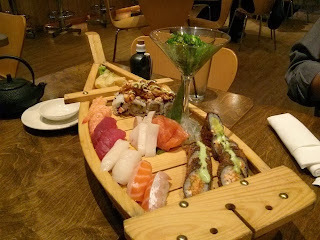 Granted we had originally wanted to go to Moonshine, but the boss was part of the party that had gone a few nights before so instead, we ended up at Piranha Killer Sushi, which is a nice, modern style sushi restaurant. 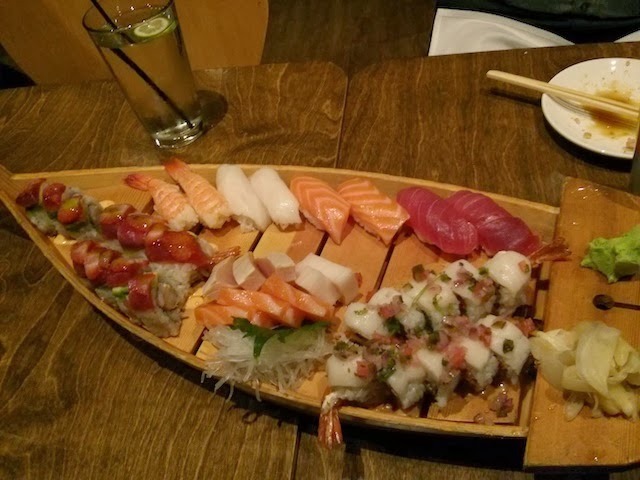 We were seated quickly, and decided to order two of their sushi boats as well as a lobster roll. They said the sushi boats fed two, we were three, but I usually eat for two anyway. Everything was quite good, tasted fresh, no complaints. The standout roll was something called the “Mary Me Roll"; shrimp tempura and ginger cream topped with avocado, tuna and strawberry. Normally if someone tried to put strawberries in or on my sushi, I would have them checked into an institution, but this was so wonderfully crafted that it was impossible to resist. 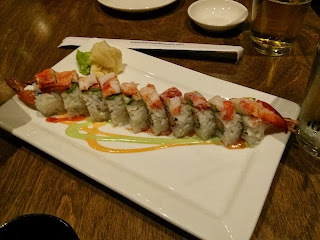 The sweet of the strawberry combined with the mild flavour of the seafood and the intense saltiness of the soy sauce, was just a perfect bite. We couldn't resist when we heard it was on the menu and finished the meal with some tempura ice cream. When I've had this at Japanese restaurants in the past, it is typically a bit on the greasy side and the tempura batter is just a little too light to carry any flavour other than fried. The batter used for this version was much more like a light cake batter, and offered that warm and crispy shell, with a softer cake interior that was superb when combined with the cold vanilla ice cream. 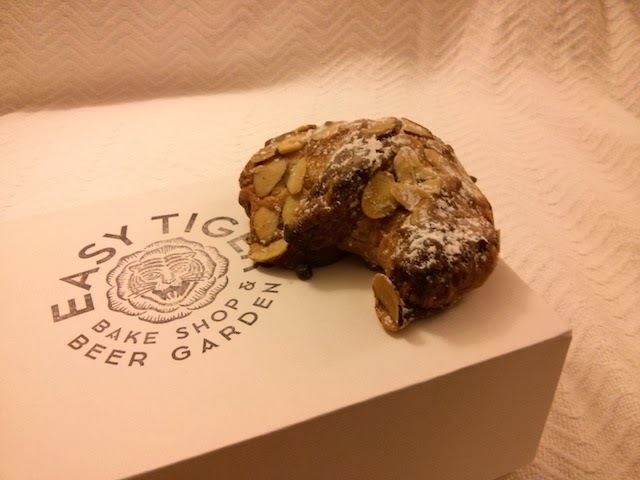 After dinner, my manager surprised us with pastries from Easy Tiger, which is a highly regarded German Bakery and deli. 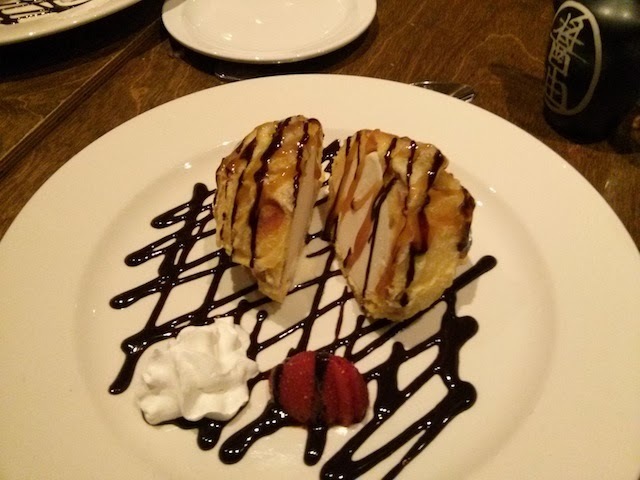 It was some type of chocolate almond croissant. The pastry was delicious and flakey as you would hope. The filling though had some weird flavour in it that I didn't really like. I suspect it was beer, but I can't know for sure. It certainly reminded me of it though. I'm glad that your experiences sounded better on your blog than it did on FB--that is a LONG time for a conference. LOL-ing on the jalapenos on the pizza--ONLY in Texas! I am far from a BBQ connoisseur, but I did know that Texas is famous for is 'beef, beef, and more beef' philosophy and that there is little love for pork (other than wrapping beef in bacon). 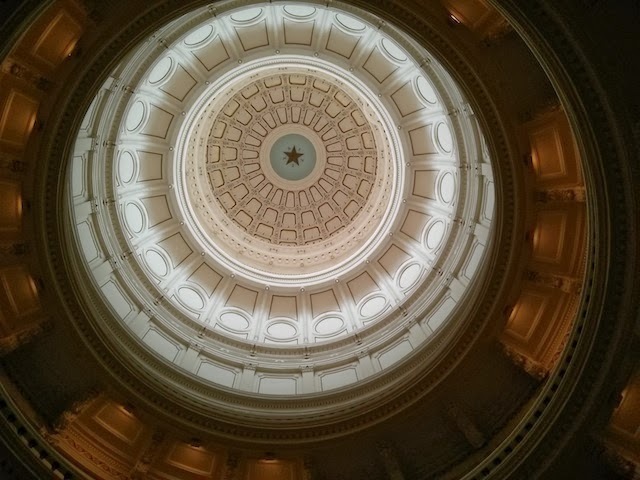 The Austin scene--actually outside of the food--sounds wonderful, although the 'conference' brisket looks great, as does the sushi (great sushi in Texas, now that is a stereotype-buster)! Yeah, it was a better experience, I mean, don't get me wrong, I was home sick from day one... but I didn't think that anyone would want to read a bunch of paragraphs about that :). The music scene in Austin is incredible, it's amazing to walk down 6th Street and hear all of these live bands' music clashing in the street. 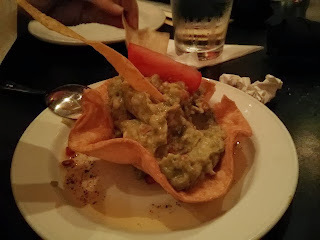 There is a lot of good food around, though it is dominated by what seems like a lot of mediocre tex-mex :) and yeah, in Texas, beef is definitely king.